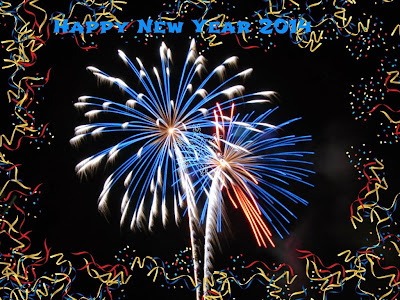 Happy New Year 2014 to everybody. I’m happy to say this is the start of the 6th year of my photo of the day blog. Thanks to all who visit, view and comment on the photos. I am looking forward to another year of sharing some of Hawaii to the world one photo at a time. One last Christmas photo for the year because I couldn’t resist one of Yoda. 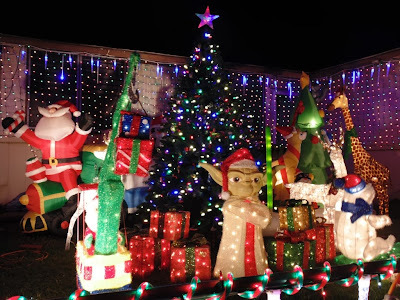 This is another house on Namoku street and really does have it all.. Santa, polar bear, giraffe, teddy bear, dinosaur, reindeer, train, truck, presents and of course a nice Christmas Tree. This will end 2013 for me I’m going to be taking the next few days off. See you on January 1 to start the new year 2014. 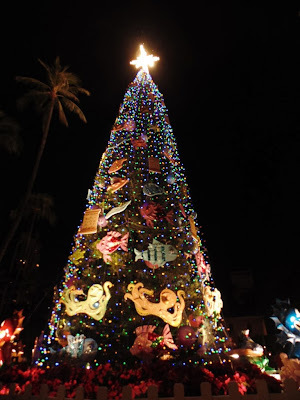 I just wanted to wish you all a Mele Kalikimaka (Merry Christmas). I hope you are all enjoying the holiday with family and friends. This year I’m experiencing Christmas through the eyes of my new niece who is having her first Christmas. 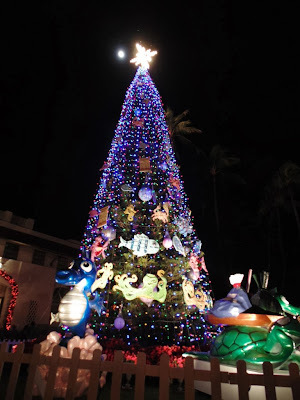 Here is the city Christmas tree at Honolulu Hale with two different views. In the bonus photo below you will also notice I manged to catch the moon right to the left of the star. Honolulu City free and running through December 31st at Honolulu Hale and the surrounding area. Be sure to check it out.